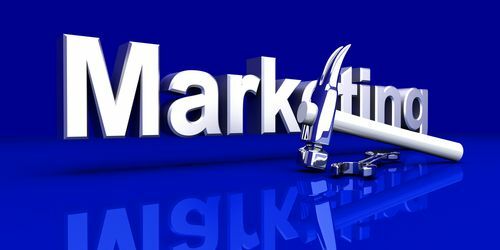 Successful marketing requires more than just establishing the aesthetic look and feel of your products or company. The best designed and presented marketing materials won’t be effective without a solid, credible and convincing message behind them. Here are some ways of creating a marketing message that will get your point across quickly and show prospective customers why your products and services are their best choice. Know what you want to convey: Clarify and refine your thoughts about your company, products and services to reach the essence of what you want to tell customers. Understand not just the features and characteristics of your offerings, but also the benefits they’ll provide to purchasers. Focus your marketing message on these clear definitions of benefits to give customers the best information about how you’re different from and better than competitors. Define your customers and target audience: Once you clearly understand what you’re offering, make sure you also understand the target audience who will receive your marketing message. Know the interests, needs and wants of the people your marketing will reach. Define their problems and concerns and how your products and services will help alleviate those troubles. Give potential customers a distinctive and appealing reason to care about your marketing message and a reason to purchase your offerings. Use simple, powerful language: Short, vivid sentences will help create images in customers’ minds that can help encourage them to make a purchase. Use descriptive language, strong verbs and powerful explanations to make your marketing message unique, enticing and encouraging. Break up written material into shorter paragraphs and use techniques such as bullet points, bold text, different fonts or graphics to stress important information. Review, revise and refine: Treat your marketing messages as a constant work-in-progress that will continually evolve and change. Find out what works and what doesn’t with your current marketing messages and make changes to upcoming campaigns to reflect your findings. What else can you do to help with creating a marketing message that clearly sets you apart from your competitors?